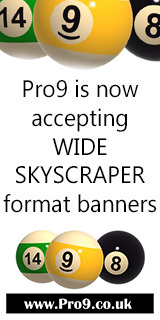 Welcome to Pro9 - Europe\'s No.1 Pool Player Resource Forums! Announcements and chat about Pro9. Bets on pool - tax question? 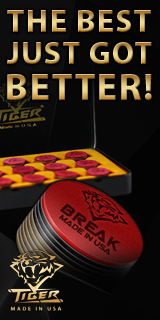 A forum for announcements, chat, and all things concerning your favourite pool shop. All things snooker, including our fantasy league results and chat. A forum for 8 Ball Pool. Total 9 Ball - events and discussion. Straight talking about straight pool! Secret forum exclusively for The Pro Shops best customers, with special offers, insider news, and chat for elite members only. Page took 0.569948 seconds to load.